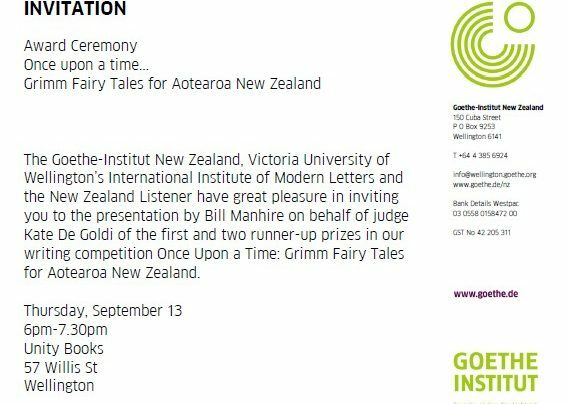 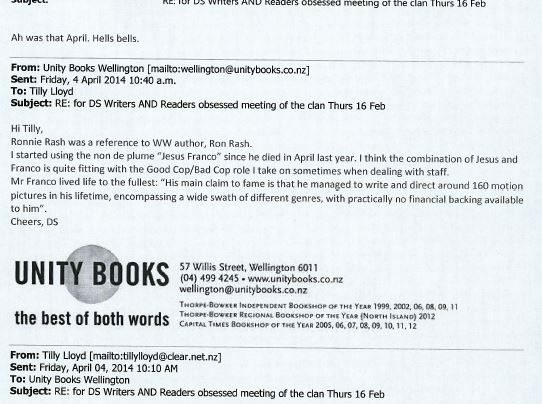 Staff are summoned to a meeting in preparation for Writers & Readers Week, and Dylan Sherwood explains his noms de plume in this chain of emails from 2012 and 2014. 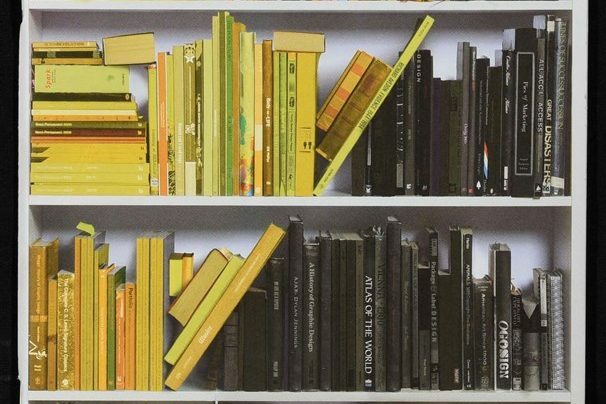 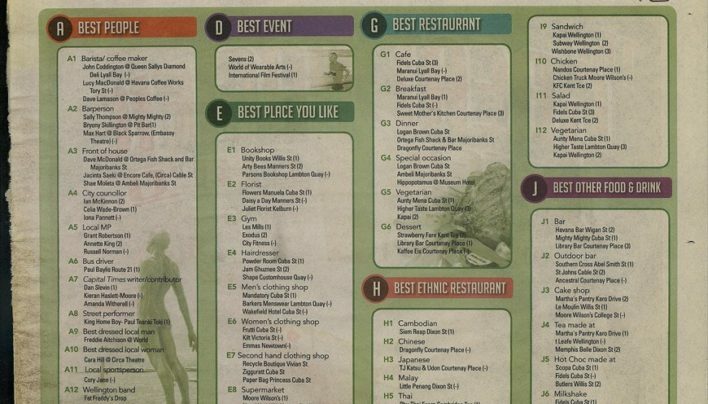 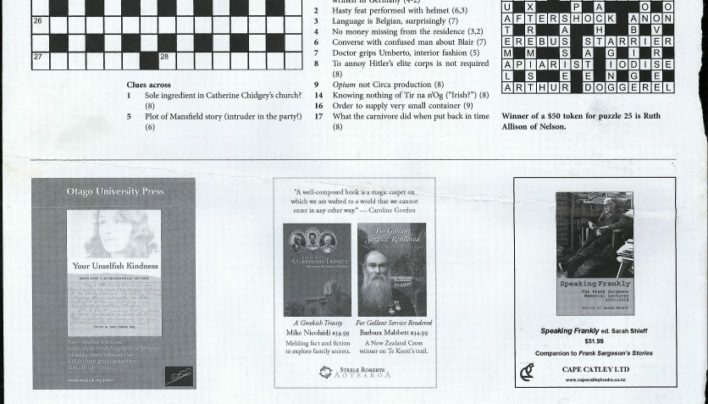 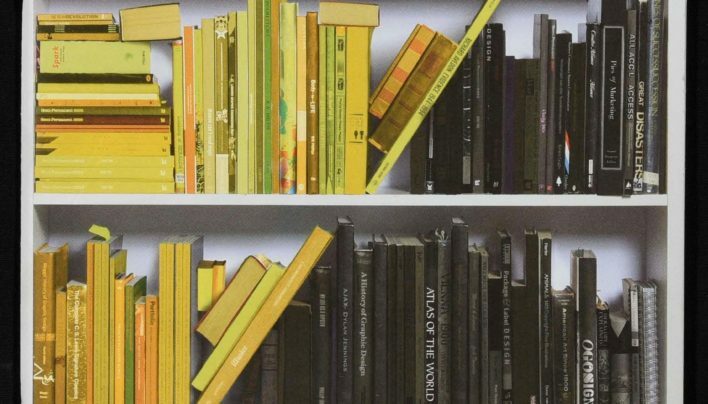 We were awarded “Best Place You Like – Bookshop” by the readers of Capital Times. 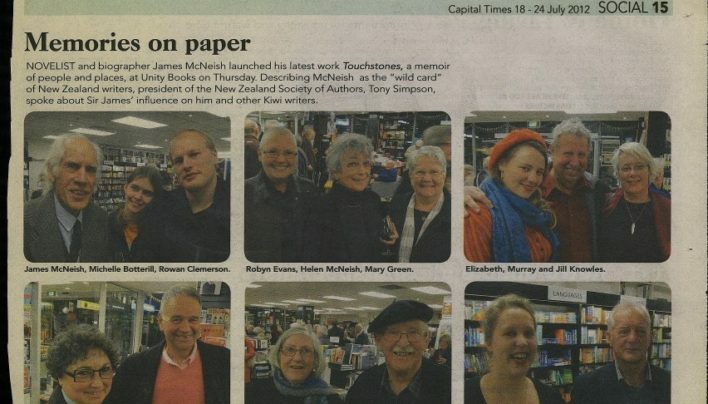 Photographs from the launch of Touchstones by James McNeish (Vintage) appear in the social pages of Capital Times. 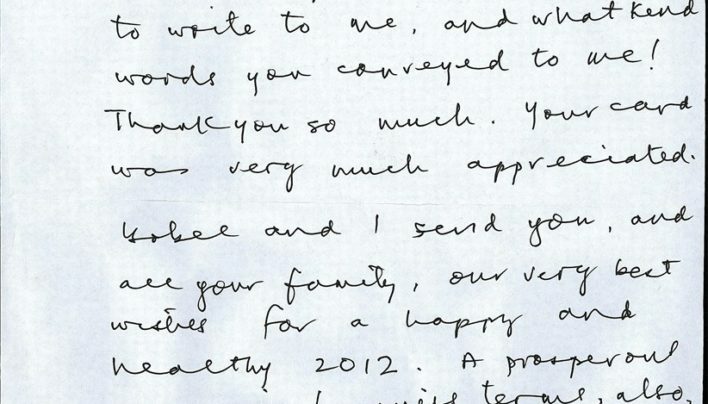 A “happy new year” letter for Tilly from Garry. 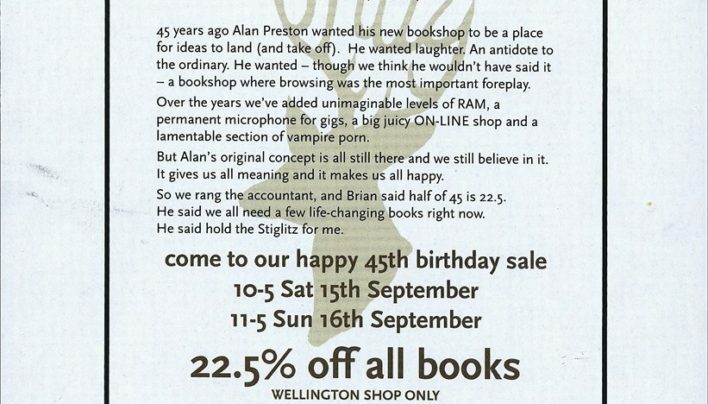 Our advertisement for our 45th Birthday Sale features very stringent conditions (no pashing at the science table). 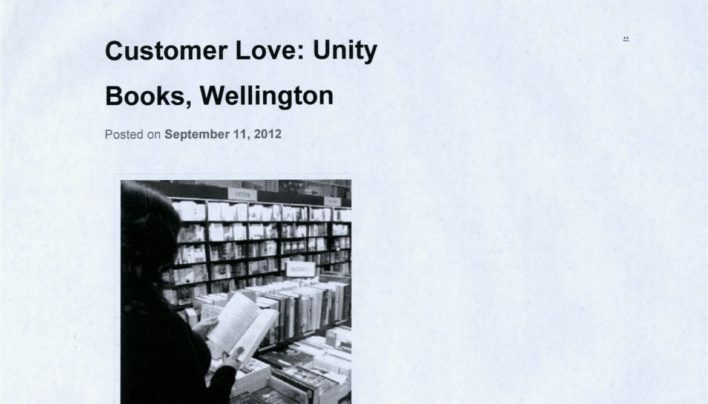 Customer Rachel Moore sent us this lovely letter full of compliments.